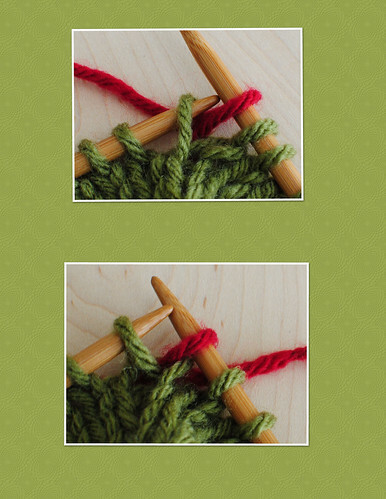 The picture below shows you the end result of making two stitches by using the horizontal bar between stitches and knitting one and purling one. 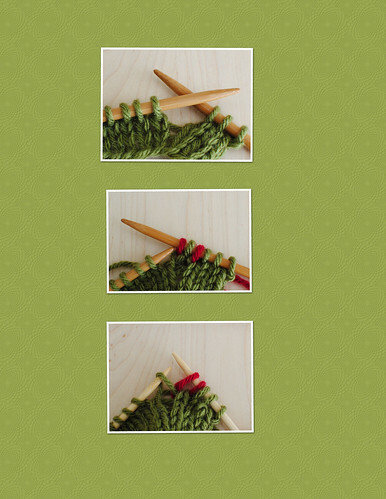 This will give you two stitches in a ribbing of 1 x 1 without changing your pattern. The second picture is showing you a M1L or Make one left and a M1R or Make 1 Right. 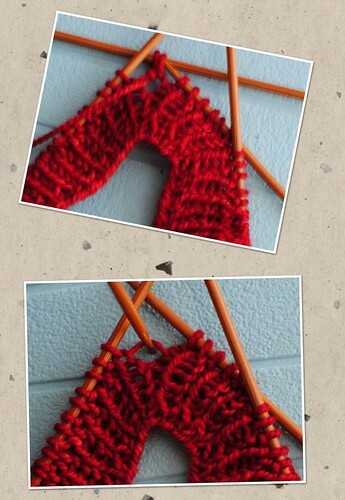 You will be using the vertical bars of the stitches. The third picture is showing you the possible outcomes of this combination. On each side of a stitch and between two stitches. Here is a small video as a demonstration. Thanks for stopping by!